The Mittani empire is one of the most enigmatic political structures in Mesopotamian history. Reconstructing the emergence and the organisation of this state, whose territory encompassed Upper Mesopotamia touching the Levant and the piedmont plains of the Zagros in the East at the height of its power, is exceedingly difficult. 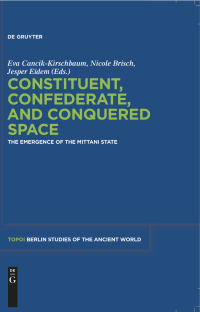 Cuneiform specialists, archeologists and historians discuss the Mittani state with regard to modes of spatial organisation co- and preexisting in the region.